We have just concluded our 15th annual Mama Mia's old-fashioned Italian dinner and benefit, our major fundraiser for the year. All our photos are on our Facebook page, so please visit there when you get a chance. 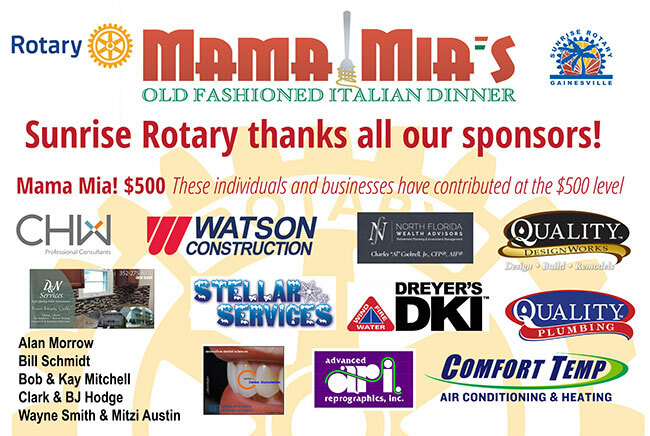 These are our major sponsors, but many more businesses and individuals have contributed. We look forward to working again with all of you in 2018.